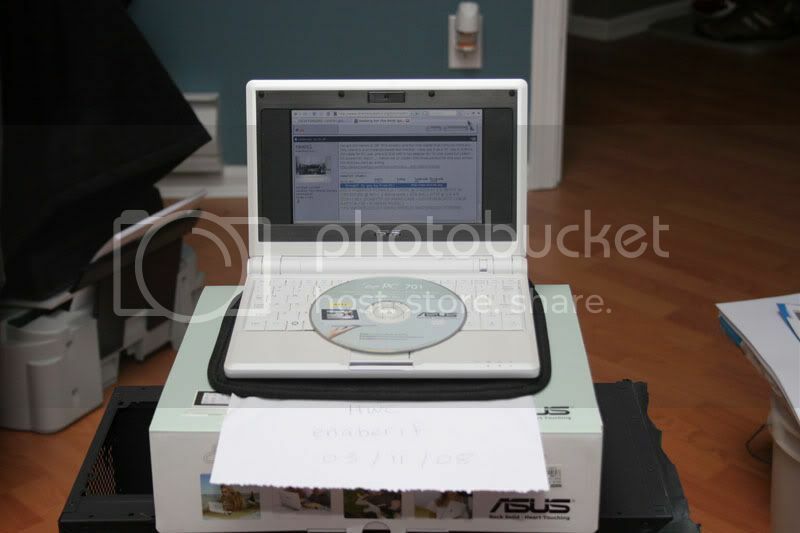 Asus EEE PC 4g with webcam and 512mb of memory with a 4gb SDHC card up for grabs. No dead pixels or markings on the unit. Has been taken care of and always transported in the glove. Asking $350 and will ship anywhere in Canada free. Ill give you $200. Not an insult, just all I have/willing to spend on it. Is this the $349 model or the $399? I am still offering $200 if seller is still interested. 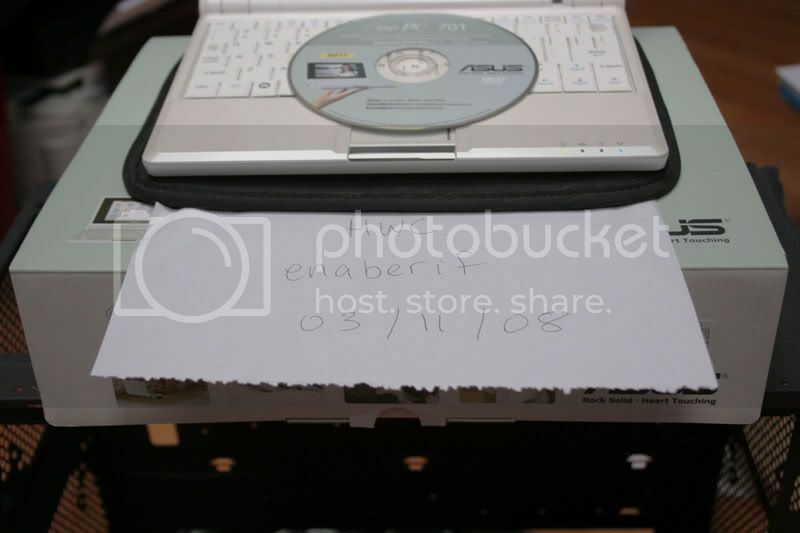 I dont need the SDHC card. Last edited by qbattersby; March 15, 2008 at 03:32 PM. 1) You MUST post a price for ALL "For Sale" (FS) topics. Only "For Trade" (FT) Topics are excluded from this rule. are answering a question. Any abuse of the bumping rules will be dealt with at the discretion of the moderators and administrators. 3) No auction style posts. 6) You cannot sell something you do not have in your immediate possession. 7) You must provide a picture with a handwritten piece of paper next to the item with your member name or the post will be pulled. 9) CONSOLIDATE Threads. Do not post multiple threads. 10) No PIRATED software sales or trades. 11) No linkage to sales on EBAY or other auction boards. 12) No Dealers or Vendors allowed. 13) If we are contacted about any member being a "bad trader" or a "troll," we reserve the right to ban the member any take any other action we feel is necessary. Bump. Willing to take offers? do you still have this computer available?